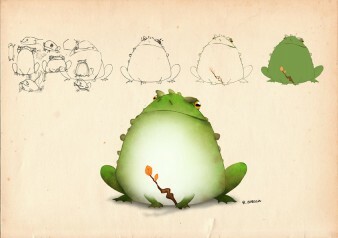 Who said that toads only become charming princes? Stop! We’ve had enough of this story. Indeed, our trustworthy toad would never swap his place with that of a blond prince with blue eyes… and he has more than one good reason not to do so! His name is Wart! While you were with the party goers, enjoying roast turkey, gingerbread and sparkling apple cider, we got on with things leaps and bounds!